Welcome to the Frozen Nerdz Podcast Episode 17 – Epic Overalls! We are your Blizzard Entertainment and Steam Free to Play discussion podcast. Each week we discuss anything that falls in between or outside those two glaciers. From talking about the games you love, the worlds you live in, AND maybe even a few you haven’t even tried yet. Join us each week as Kilroy and myself, Epicinsanity, sit down and discuss the things no one else is talking about. as we bring new points of view, in a not so standard podcast format. The show was recorded on Monday, June 23 2014. And was released on Tuesday, June 24, 2014. On Today’s episode we talk all about micro-transactions inside World of Warcraft, but that doesn’t last long before we jump right into the Starcade talking about Tessera a First Person Shooter inside the Blizzard Arcade. Then we talk about mobile Hearthstone connectivity, and then warm up inside our Steamroom talking about the Steam Summer Sale. Then we have some fresh news to order in our Indie House where we discuss the kickstarter for a podcast favorite, Catlateral Damage. We wrap the show up by digging deep into the IceBox and reading a listener submitted email in fine Frozen Nerdz fashion. So sit back, relax and enjoy Episode 17 of the Frozen Nerdz Podcast. If you would like to support Catlateral Damage in their KickStarter, go here right meow! 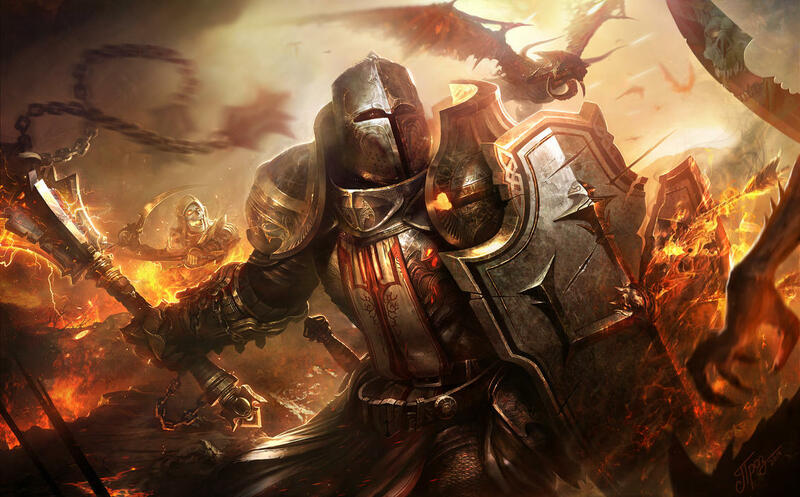 This Weeks Diablo 3: Reaper of Souls Artwork! Episode 15: Thanks, Captain Obvious! Welcome to the Frozen Nerdz Podcast Episode 15 – Thanks, Captain Obvious! We are your Blizzard Entertainment and Steam Free to Play discussion podcast. Each week we discuss anything that falls in between or outside those two glaciers. From talking about the games you love, the worlds you live in, AND maybe even a few you haven’t even tried yet. Join us each week as Kilroy and myself, Epicinsanity, sit down and discuss the things no one else is talking about. as we bring new points of view, in a not so standard podcast format. Today is Tuesday, June 3rd, 2014. In Warcraft – Economics 101 and Mechanics 101. 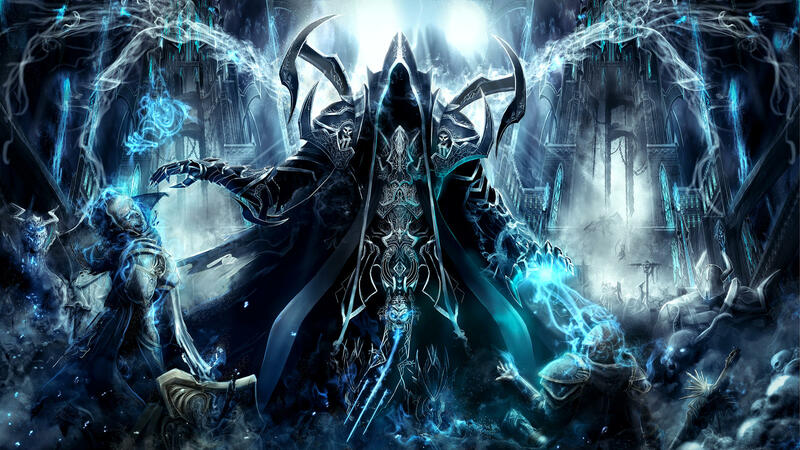 Diablo – Reaper of Souls artwork entitled Retribution. The Steam Room – Free to Play game Toribash. And before we let you go, we talk quickly about World of Podcast Anaheim 2014! So sit back, relax and enjoy a nice ice cold episode of the Frozen Nerdz podcast! Episode 14 – We Love You Greenland! This episode was released on Tuesday, May 27th and recorded on Saturday, May 24 2014. Warcraft of Warcraft – changes to raiding, the challenges of raiding, and beyond. Diablo – I Choose You Hydra! by Indiron Click here to see the picture! Reminder that we still have our BlizzCon 2013 Stick Figure Contest going on over at FrozeNerdz.com. As well as our Ask Us Anything coming on where you can get to know the two of us better. Got questions? We’ve got answers! Or you can listen to all our episodes over on Hipcast.com (Webplayer version). Click here to get the episodes first! Episode 10 – "Rock the Cabinet"
Welcome To Frozen Nerdz Episode 10! The Frozen Nerdz is a podcast that covers all Blizzard Entertainment and Steam games, but today we have a very special episode. In Episode 10, we are taking some time to Rock the Cabinet inside the Blizzard Arcade and bring your attention to some fantastic community created games within the StarCraft Universe, or as we at the Frozen Nerdz like to call it… The Starcade! The “Rock the Cabinet” is the first Arcade contest that Blizzard has announced since the Blizzard Arcade has gone free to play. Blizzard is calling all game creators to “wow us with the most amazing Arcade games ever made using the StarCraft II Map Editor and Art Tools, and we’ll award over fifteen thousand dollars and other amazing perks to the winning entries. If you’ve always wanted to create your own game, this contest is for you!” To find out all the details about the “Rock the Cabinet” click here. For those wondering about the Blizzard Arcade is here is some more information about it here. As of April 8th, there were 24 games that have entered to be considered for the ultimate prizes. When we were told about the Rock the Cabinet Contest, we noticed that there were a pretty large list of games. Not being able to pick which ones we actually wanted to cover, we decided to just play them all! So here is the list of the games, just click their titles for links to their forums and descriptions. Description: Players fight with their heroes to defend their base and destroy their opponents! Description: Three warring factions came together to battle for the city federation! Description: Run away or be eaten by Demon. Description: None given by Author. Description: A top down shooter. Choose a gun and buy some gadgets. Capture the enemy flag and score more than the enemy team in 15 mins to win. Capture the flag. Description: Defend your capital ship from attackers by constructing defensive turrets, garrisoning shipboard infantry and launching attack squadrons. A choose-your-own adventure game with many different paths and ways to play. Description: A Squadron TD inspired map which includes a Tug of War Concept, extra ways of summoning and tons of different upgrades. Much more difficult than squad with none of the down time. Description: Game play focuses on making interesting decisions and involves taking turns. Description: Stay on path and don’t touch the enemies. Description: Evolve up the food chain in competition with others players and A.I. Description: “God Game based on Populous 3. Play as a shaman leading your tribe to victory using powerful spells and by training a diverse army. Description: A game where armies use skill and strategy to defeat one another in epic combat. Description: Warcraft, Horde and Alliance. Like Warcraft III players collect gold, build bases and train army to defeat enemies. Description: In the year 5014, Rise up, people from the High Intellectual Vakalonien. Expand your knowledge from the last 3000 years. Play with friends against the Extrem Kl and show Vakaloien, that you are the Rescuer of this City. Reach the dominion about this City and you will Survive. Description: Battle your friends in this in-depth turn based tactics game! Description: Your dear old Uncle Buck has kicked the bucket and left you the deed to his run down bar out in the middle of nowhere on Mar Sara. It’s up to you to turn this wasteland into an oasis and transform your hole in the wall to a keystone of the sector! Description: Destroy enemy’s warp towers. Description: Every play has one sheep. The goal is to kill the others players sheep. The problem… there are 200 neutral sheep that look like your enemies sheep. Description: Survive as long as possible. Description: You and up to five other players have entered a ruined Dominion Research Facility. FIght for your lives and see how many rounds and bosses you can survive in this First Person Shooter. Description: Epic Players verses player battles. Description: The hunter team seeks to eliminate the trappers, who seek to eliminate the hunters with traps. Description: Pokemon style mechanics. Turn based battles in random encounters with computer. Obtain more units using capsules then level them up and evolve. This week on Frozen Nerdz podcast Epic Insanity and Kilroy tried out a Starcraft arcade game based on the popular game Bubble Bobble. During the episode we definitely expressed a longing to return to episode 1 and play a whole other week of Roach Snake, alas the show must go on! But, if you have your own feelings about this arcade game and you truly enjoyed it we would love your comment below! You can check our the authors forums by clicking this link or the photo on this post. This week on FrozeNerdz we discuss a fun little game that can be found in the Starcraft II Arcade, Roach Snake v1.0 by Pakaran. Stop by the show this Tuesday January, 28th and hear about this weeks adventure into the Starcade.